Now I know there is one in Melbourne, but we’ve had some pretty bad weather of late and when it’s been good I haven’t had the chance to go. 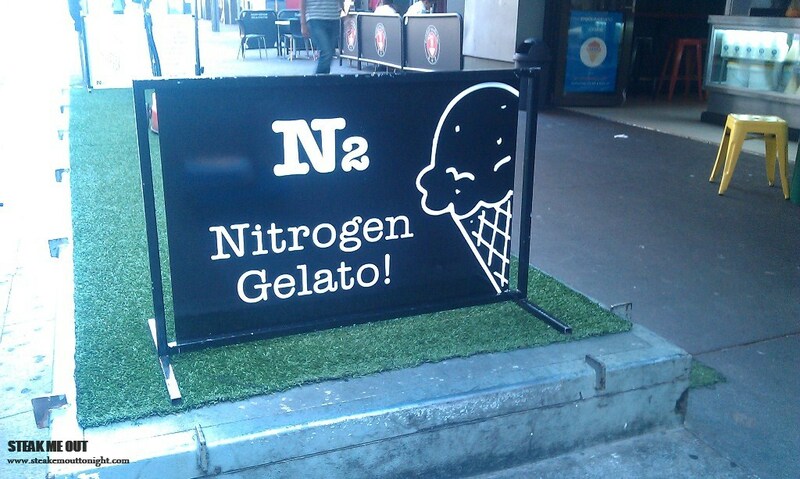 In Sydney the store was completely empty, and I couldn’t decide what to get and, unlike usual gelatarias you’re not able to try any of the flavours. 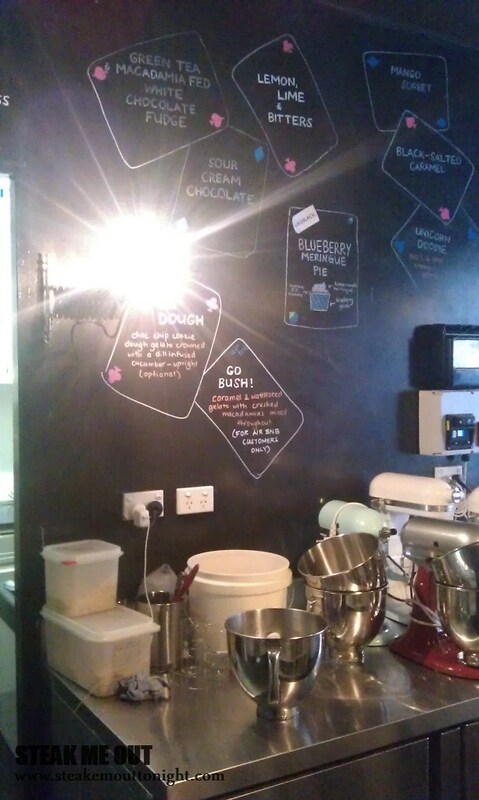 After uming and ahing for a few minutes, the girl behind the counter told me if I installed and logged onto the Airbnb app I’d get a free scoop of the Go Bush, a caramel and wattle seed gelato with crushed macadamias. It was nice, burnt and bitter coffee flavours with macadamias crushed here and there, but to be honest it wasn’t anything special. 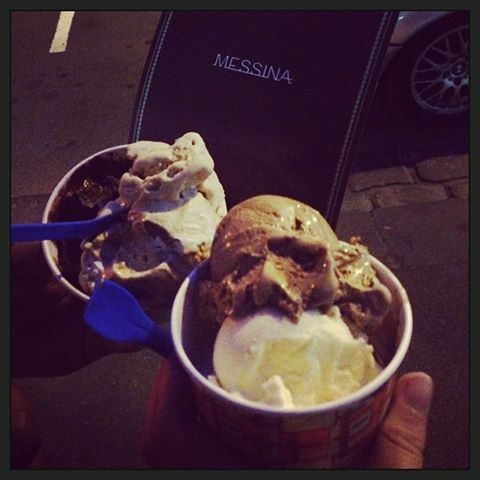 Gelato Messina is the new golden child in Artisan gelato with The Good Food Guide voting them the “Best Gelato in Australia”. Having heard tales of the lines and their greatness I just had to check it out while I was up in Sydney. 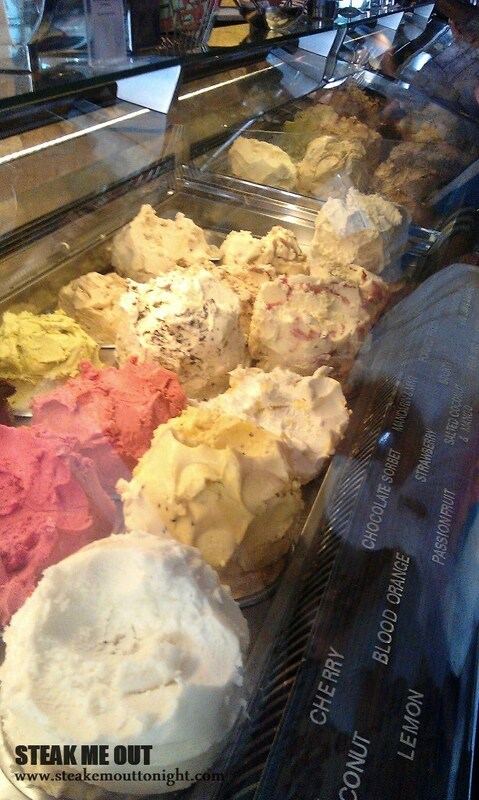 I walked in and it was heaven, they offer 20 odd flavours with sorbets as well. After once again trying several (coconut and pandan, salted caramel, raspberry, hazelnut, salted coconut and mango to name a few) I settled on the chocolate fondant, pistachio and Fo’ Shizzle, a caramel custard ice cream with raspberry sauce, chocolate chips and hazelnuts. 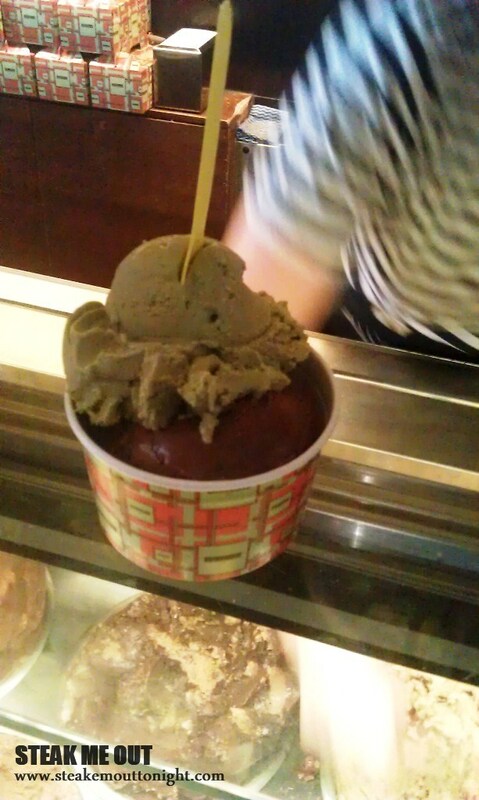 The gelato was fantastic; the chocolate fondant was rich and dark, the texture was a cross between a brownie and mousse. The Fo’ Shizzle was equally good but slightly harder to describe, it was a complete mash up of flavours, everything worked in it and tasted great. After eating these two, the pistachio was kind of boring. That’s not to say it wasn’t a great gelato, I mean it was heavily flavoured, creamy and equally rich, but in the end not as memorable as the other two. 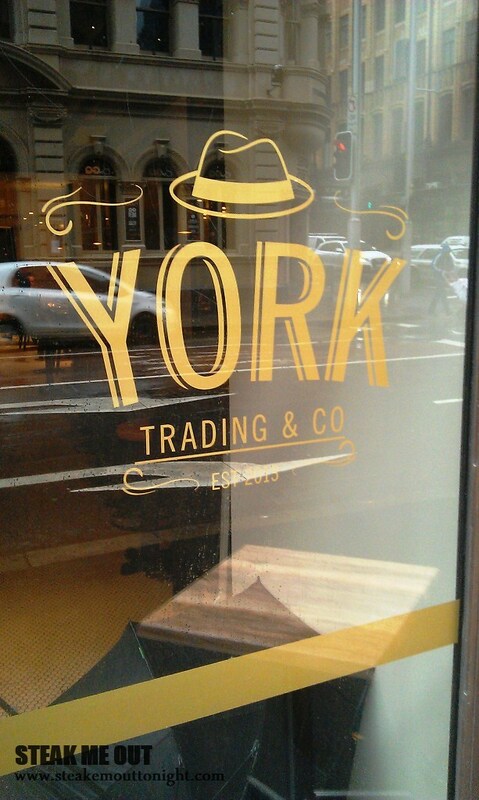 After grabbing a business card I realised one had recently opened up in Melbourne and went to check that out once I was back. 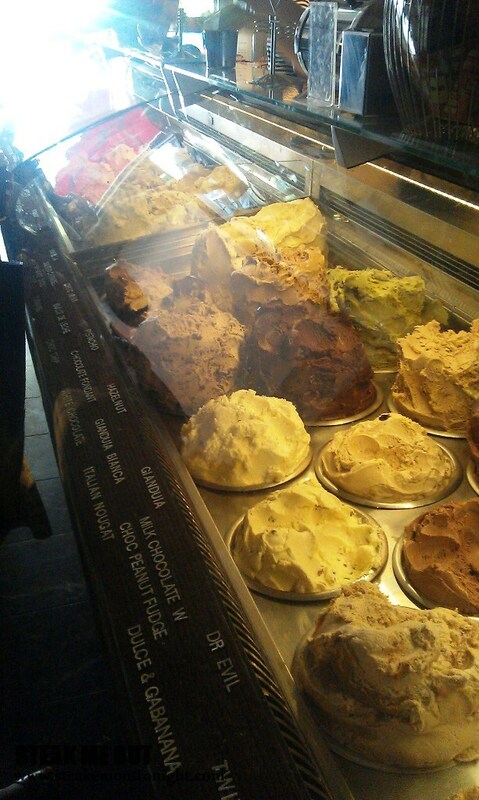 I went back for more chocolate (it’s hard to say no to) and went for the Cremino, a caramel based gelato with ginger nut, meringue, chocolate and peanut butter sauces and chopped up peanuts. It was lusciously delicious, the ginger nut and meringue especially gave it a distinguishing flavour and texture. Unfortunately the Cremino and Fo’ Shizzle are part of the ever changing specials and come and go somewhat like the Melbourne sun. 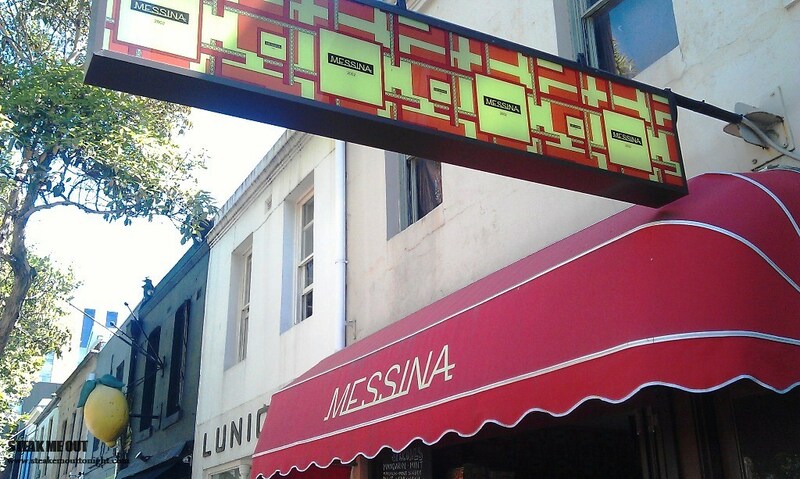 I stumbled upon this café on my first day in Sydney and told myself I would be back, and on my last day I braved the rain to find it again. 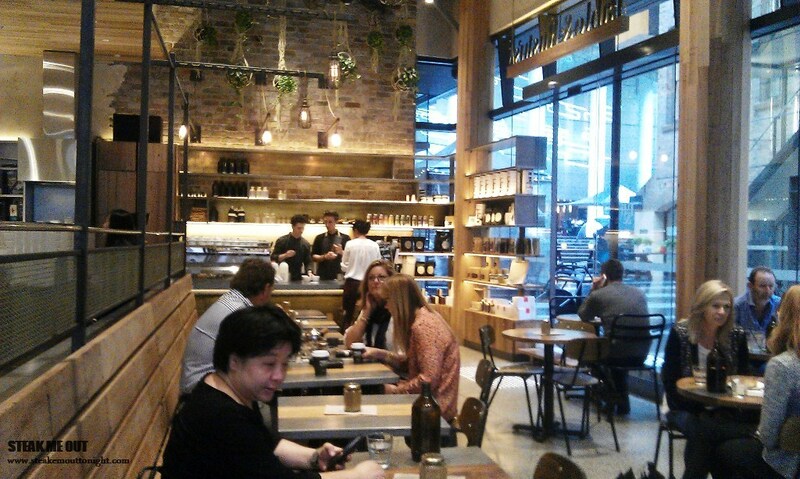 It was a well refined café, wood and brick with a heavy country vibe, and judging by both the menu and the shelves there was a big focus on quality and organic ingredients. 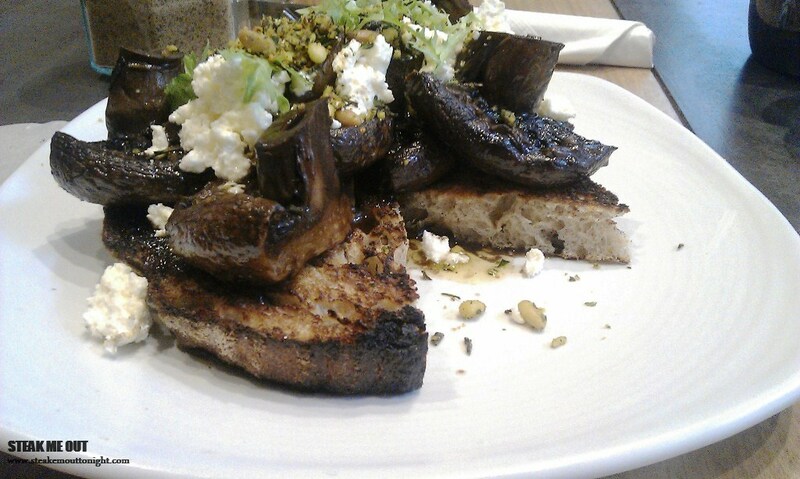 I took a seat and ordered a long black with my breakfast, the balsamic and rosemary mushrooms with fetta and gremola. The Long black was great, possibly the best of the trip. It wasn’t overly hot with no harsh bitterness either. As I sipped my drink I noticed the place was packed, mostly with business type personnel. I sat there pondering how that was at 11:15 in the morning, and wondered if people in Sydney just don’t work. Just as I finished my coffee the meal arrived, it looked and smelled great with strong vinegary tones. Taking my first bite it was oily, sour and rich. The cheese had slightly warmed from the mushrooms, and the gremola was fantastic giving nice texture and taste along with a very distinct rosemary flavour. To top it all off the mushrooms were roasted fantastically with there being plenty of them in one serving. I really liked Pablo and rusty and would definitely go back if I was to ever (hopefully never) live in Sydney. I was on my way to the chophouse when I spotted this place, from the outside all I could see was a very classy looking bar, slightly retro with a 1920’s feel and dimly lit. I walked in and got past the bar and it became a run of the mill restaurant with a very business vibe. 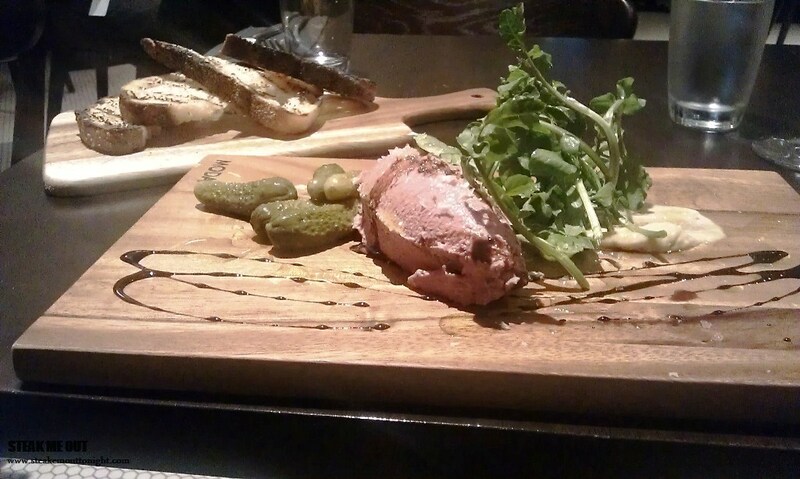 I took a seat against the back wall and ordered the chicken liver parfait served with Dijon and toast points. The place was pretty empty when I first arrived which made meant the food didn’t take long, but when I left however the place was quite packed. When the meal arrived it looked great, and the portion was also quite large. The taste was fantastic, and when paired with the drizzle of balsamic and Dijon mustard created a rather divine flavour and texture but still was not as creamy as the Madame Sousou one I had (HL). York is a really cool place with a fairly comprehensive and slightly adventurous menu and hopefully next time I’m in Sydney I’ll get to the steak. 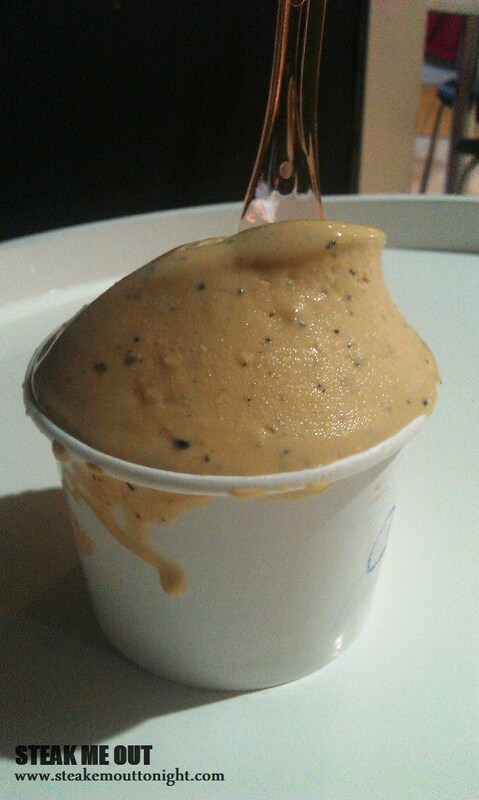 Posted on December 13, 2013 October 13, 2015 by AdrielPosted in Brunch n Lunch, SteakLESS, SydneyTagged Gelato, Sydney.